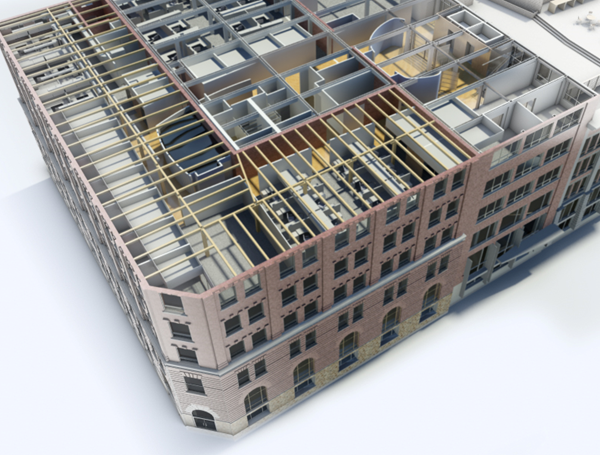 This paper presents a Building Information Modeling (BIM) re-creation of a designated heritage building located in Toronto, Canada. By taking advantage of BIM as a centralized database, which describes both geometric and semantic aspects of a building, this model can be leveraged as a source of input for many forms of analysis. In addition to the BIM model, we present a comprehensive point cloud dataset gathered using terrestrial laser scanning technology. Based on an existing and a living building, this model is an ideal candidate for simulations that can be cross referenced with information gathered on-site.